Welcome to another episode of Obscure Lamborghini Models You've Probably Never Heard Of. 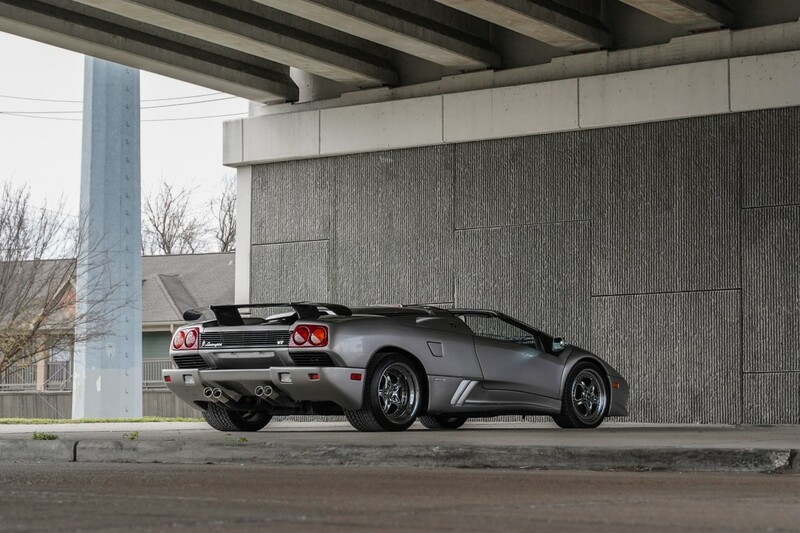 Today's catch is a variant of the beloved Diablo, the first Raging Bull in the 200 mile per hour club. 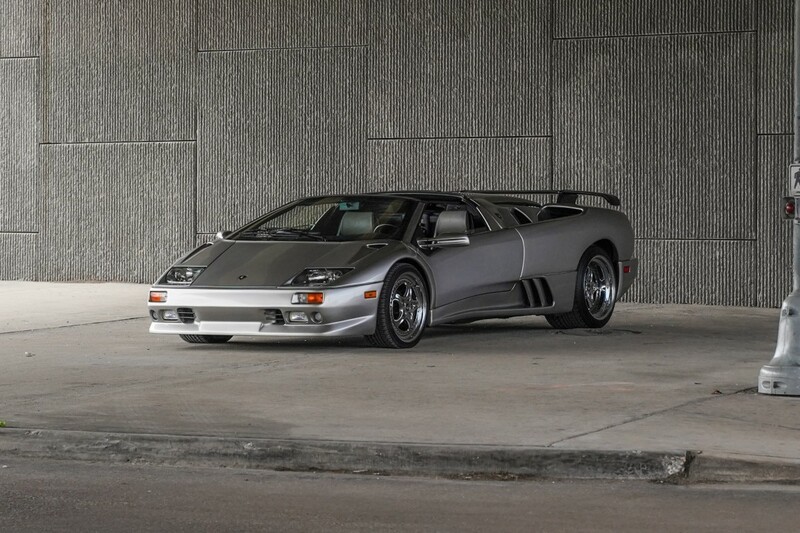 It's a rare 1999 Diablo VT Roadster, but this particular example listed on Bring a Trailer is even more special than a limited edition when you dig into it. 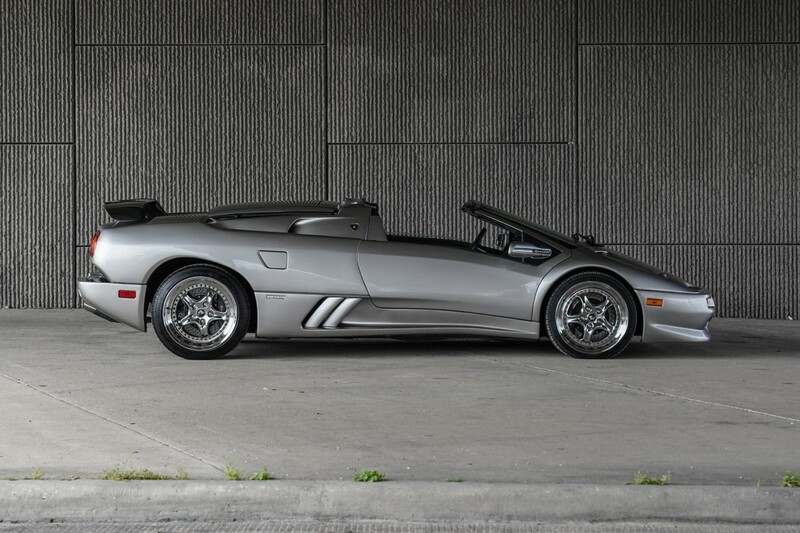 The car in question is one of 30 VT Millennium Roadsters built worldwide to celebrate the 21st century's first model year, and the seventh of just 10 examples imported to the United States. Like the rest of its North American-bound brethren, this car is finished in Titanium Metallic gray. 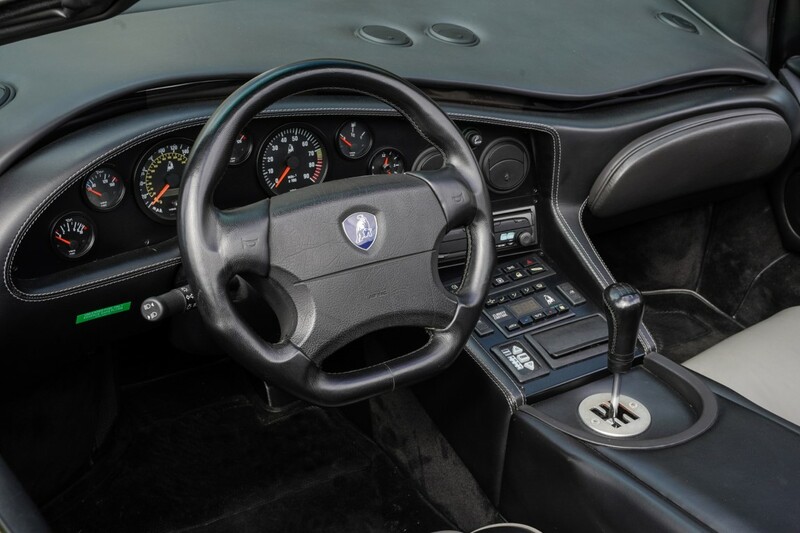 Other unique upgrades for the new millennium include a two-tone black and gray leather interior, more acceleration-oriented Diablo SV differential, optional carbon fiber rear wing, and in this car's case, a plaque between the seats reading "7 of 10." 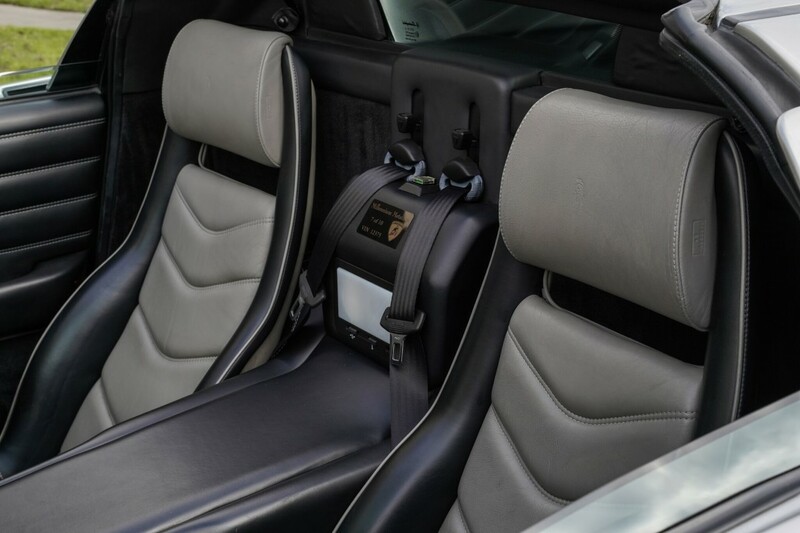 Our favorite part of the car though has to be the 529-horsepower, 5.7-liter V-12 motor attached to a sweet, sweet five-speed gated manual gearbox. Those two factors alone are enough to skyrocket the car's collector value. As with all VT (Viscous Traction) Roadsters, power is sent to all four wheels. 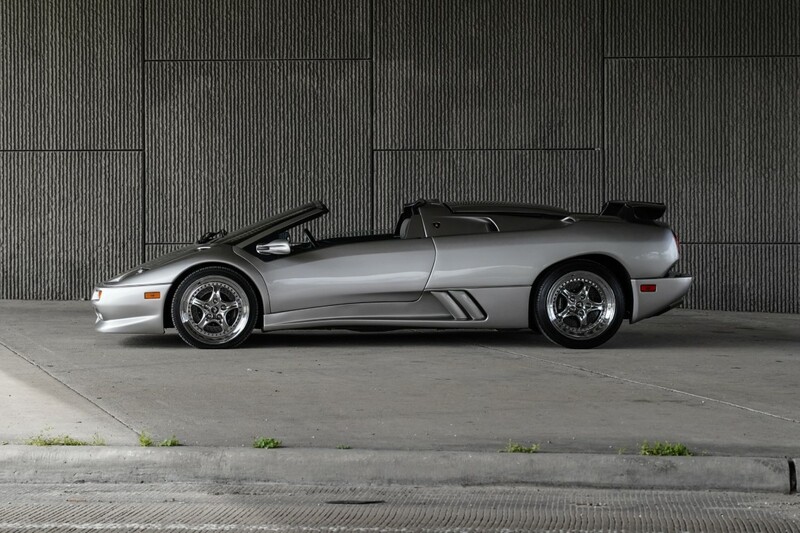 The VT Roadster was the last hurrah for the drop-top Diablo, and the last equipped with a 5.7-liter engine. Subsequent models would feature a 6.0-liter V-12 and were only available in a hard top. 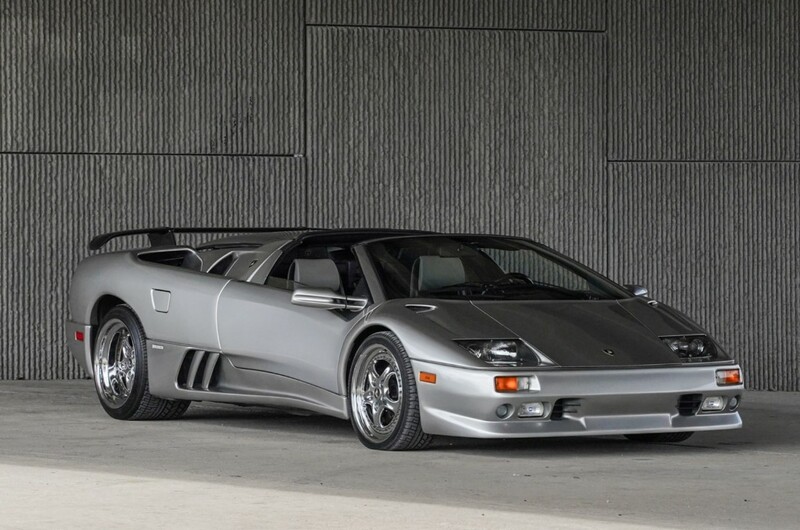 Considering its specification and rarity, this Diablo variant certainly deserves a spot in any prime Lamborghini lover's collection. Be sure to keep an eye on this one too, as it opened with a $135,000 bid on its first day and is sure to keep increasing in the next week. 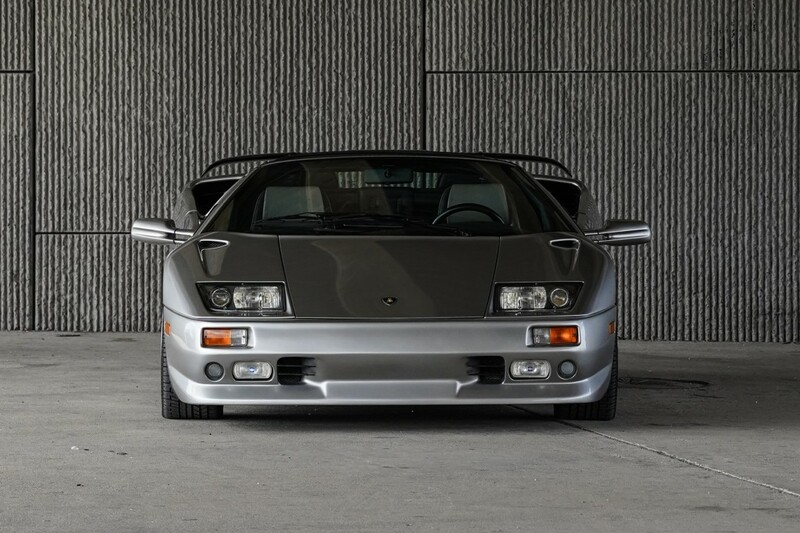 You can't go wrong with a 1-of-30, race-ready Lambo. No context. But, hey, V-12 and fire! The car was first made road-worthy by Walter Wolf, former part-owner of the Williams racing team. We're betting that this custom build didn't turn out quite as intended.